I originally shared this post on how I fixed my iPhone after I dropped it in the toilet a couple of years ago, and since there are so many new readers here, I thought I would share it again, especially since I recently had to use this method again…on my husband’s iPhone. 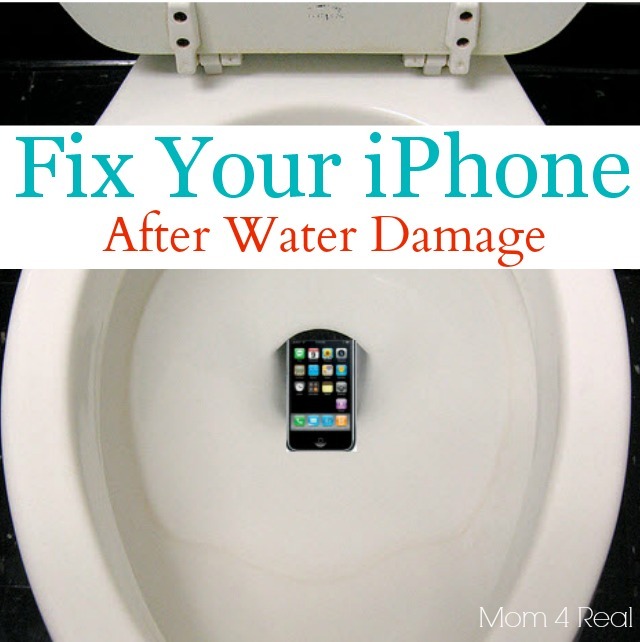 So, just in case you drop your phone in the toilet, spill water on it or happen to drop it in a puddle of water…here is one way you can try to fix it! Does this image make you want to vomit? Well, it does me…especially since this is almost exactly what I saw this past Saturday night…except the toilet seat was down, because I am a girl. Matt and I went to an engagement party for some friends of ours. We had a babysitter for Kate, so instead of keeping my phone in my purse, I put my phone in my back pocket…HUGE mistake! I went to the little girl’s room to ummm…powder my nose, and as I was “powdering my nose,” my phone just happened to slip into the toilet. I panicked! I grabbed my phone out of the toilet…luckily, it was clean…and proceeded to dry my phone and wave it around to air dry it. It worked! Well, it worked for about 15 minutes, then it was dead. I decided there was nothing I could do right then, so I put it in my purse and had a good time with my friends. 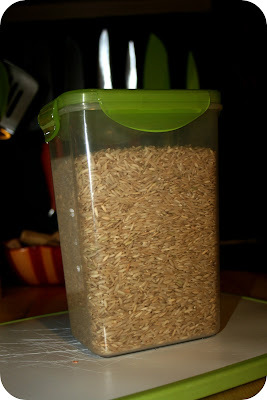 As soon as I got home, I went on a search for rice, because that’s what everyone told me to put my phone in. Well, we had no rice, so I put my phone in a tupperware container of cous cous. (Cous cous is a very tiny pasta that absorbs moisture quickly.) In the morning, I checked my phone…no power. I went to the grocery and bought rice. I put my phone in a tupperware container of rice, and checked it the next morning…no power. I was so sad, but I am a “let’s look at the bright side” kind of girl, so I thought I will just get a new SIM card put in my old iPhone. My old iPhone that didn’t have a volume button, and only rang when it felt like it. I pouted a bit, then remembered something Matt had said about putting a watch on the fridge to get water out of it. If your watch gets wet, you are supposed to put it on the top of your refrigerator for a few days, and the vibration of the fridge will dislodge the water and it will evaporate. So, I thought, okay, if that works for a watch, wouldn’t the vibration from the dryer work? I then went a bit further…rice is suppose to be absorbent…what else is really absorbent? Diapers! Of course! 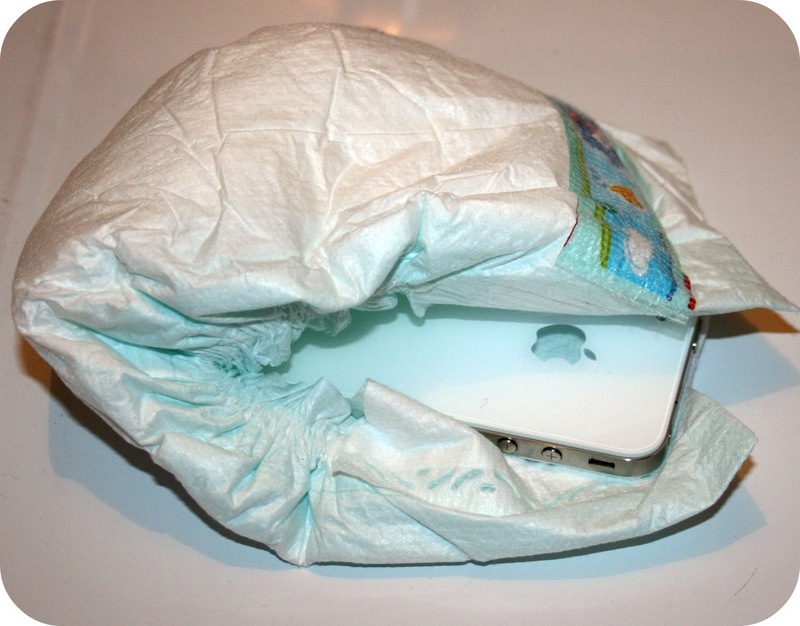 So, I put my iPhone in a diaper on top of the dryer, and since I was doing laundry, it ran all day. I know, crazy weird, but guess what? It worked!!! 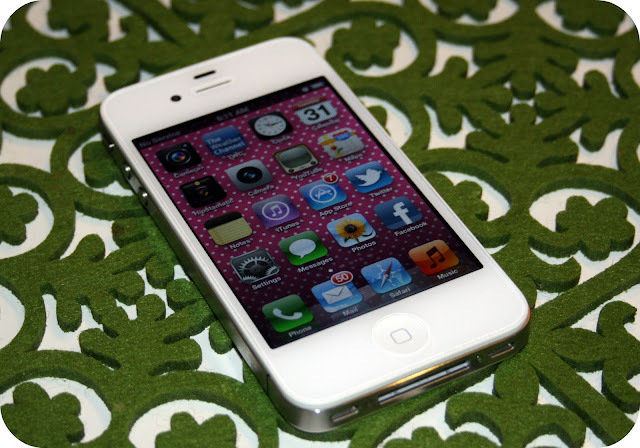 My 3 month old fantastically fabulous iPhone 4 is working again! I’m not sure exactly what did it…it could be the combo of all 3 methods, but I can tell you this…I would have tried 50 things to make it work! I hope this helps someone, and a word to the wise…never put your cell in your back pocket, unless you are dying to try my methods! Looking for more tips and tricks? Good info to know! So glad it worked for you. I have a question? I keep seeing people suggest you take your battery out since the warranty is already void. My phone has been in rice for over 12 hours now, should I do that? Did you take your battery out or just put the whole phone in the diaper? When my daughter’s phone wound up with a big dark ominous cloud under the screen on her 3 day old iphone, after putting a screen protector on, we did this. I set it on the edge of the bathroom sink and had the blowdryer on low pointing into the far side of the sink. After about an hour of the indirect warm air blowing on it, thankfully the cloud went away. glad the phone got fixed!!! Wondering if this is the junecleaver131 that I used to know?? 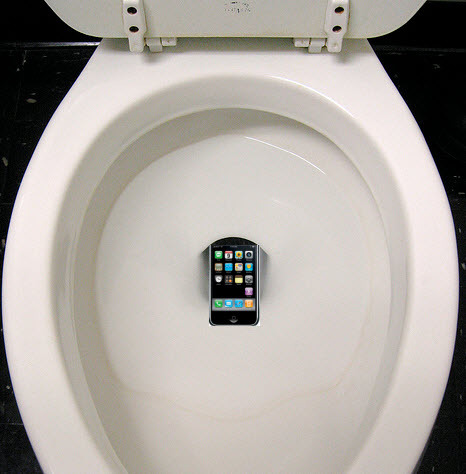 My daughter dropped her phone in the toilet several years ago. I remembered a coworker tell how his daughter was on the school swim team and always had condensation problems with her phone. They used a ziplock bag and desiccant (those little bags found in new purse or shoe box). The visible water in the camera eye went away overnight using this method. If we had waited a little longer before turning the phone on I think we could have saved it.